Well, we did it again. 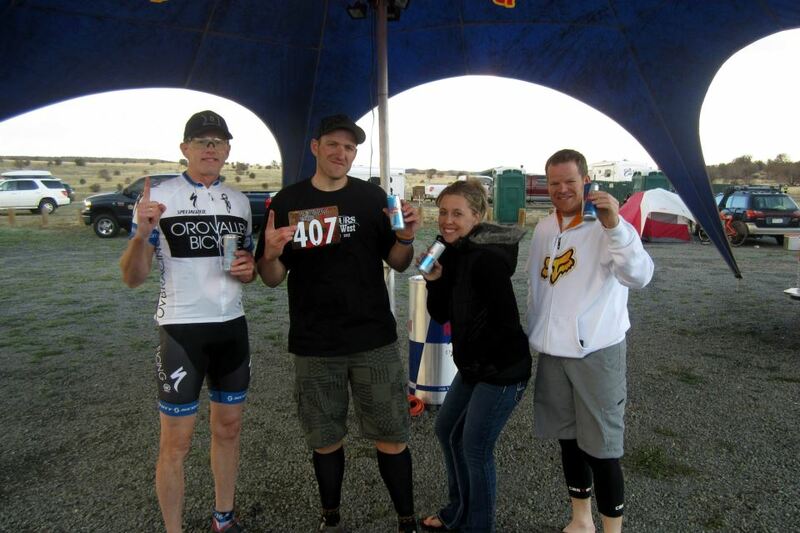 Another 12 hour race in the books under the name “Lady Cluck and the Boys”. We drove about two hours north of Las Cruces to the town of Ruidoso, New Mexico. It’s a resort town with mountain bike trails, snowboarding, horseback riding, and casinos (makes me feel like home..hehe). We stayed at a cabin off the main street, down the street from an awesome Schlotzsky’s (which they don’t have in Las Cruces). I had a turkey and avacado sandwich and a cup of Boston Clam Chowder. We ordered some Cinnabon (YUM!) for our race day sugar rush we needed. 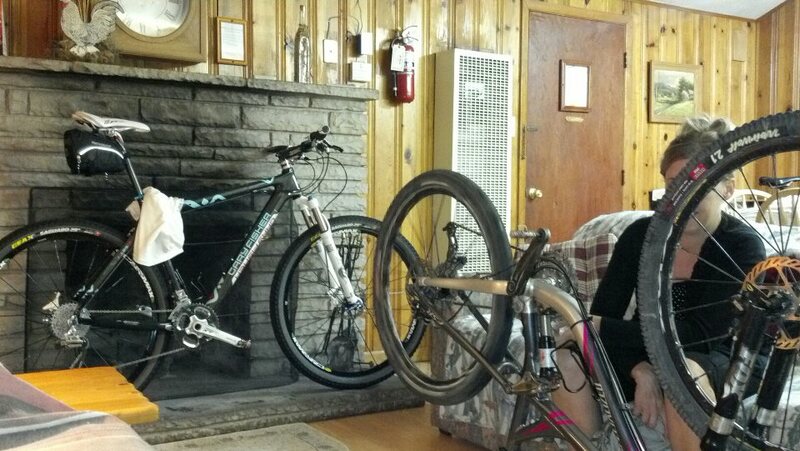 We had to hurry back to the cabin to prep all the bikes and to get some sleep! I was so ready for bed! P.S. Yes, I wore a hoodie to bed because it was VERY cold in the cabin and it took a long time for the heater to kick in. Safire has seen some good times and bad times on the race coarse. The huge thing with her is that her shock has been acting up and getting really “squishy” (I just need to get a new one.) and so I have to pump it up the night before and right before the race. Also, my big problem I have is seat height. I tend to ride with my seat a little too low, so I adjusted the seat a little higher to see if anything improved. This is a little bit out of order and it leaves no room for suspense, but can I tell you how tight our race was?? We raced four man co-ed and were planning on being the only team, until we found out that three other teams had signed up. We are actually standing in order from left to right on how we went out on our laps. Wayne was first and our fastest rider with 48-49 minute laps, Mike was second and he was hitting 53-56 minute laps, I was third with 1 hour laps, and Brent was fourth with 59 minute laps. We followed that order until the final lap. Red Bull sponsored the race, so we had to represent by getting pictures with some Red Bull. 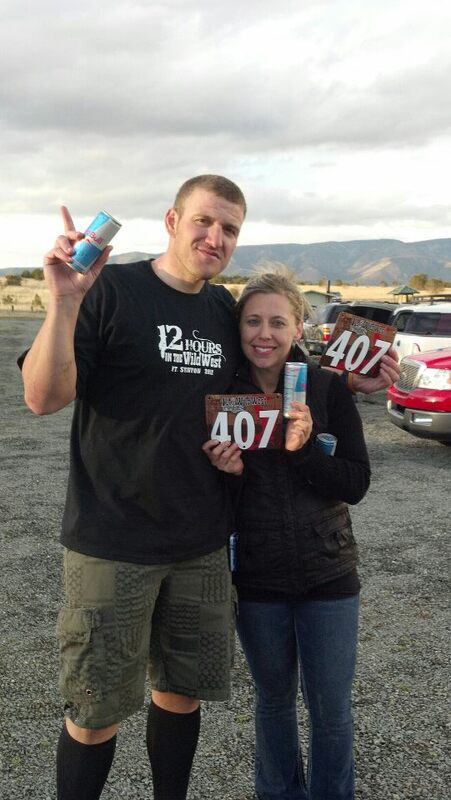 Energy drinks, Sportslegs, and some good old fashioned sugary foods are great fuel for an endurance race like this one. I’ll be honest, after a while you get pretty sick of it, and all you want to do is drink water. Mike was nice enough to walk up to the last part of the 11 mile loop and take a picture of me coming in on my lap. This part is right after a little downhill, technical part through the trees and you start hearing the music from the parking lot and it gets you so pumped. I was a lot faster on this part than last year, thanks to Cloudcroft, which prepared me for rocks and roots. 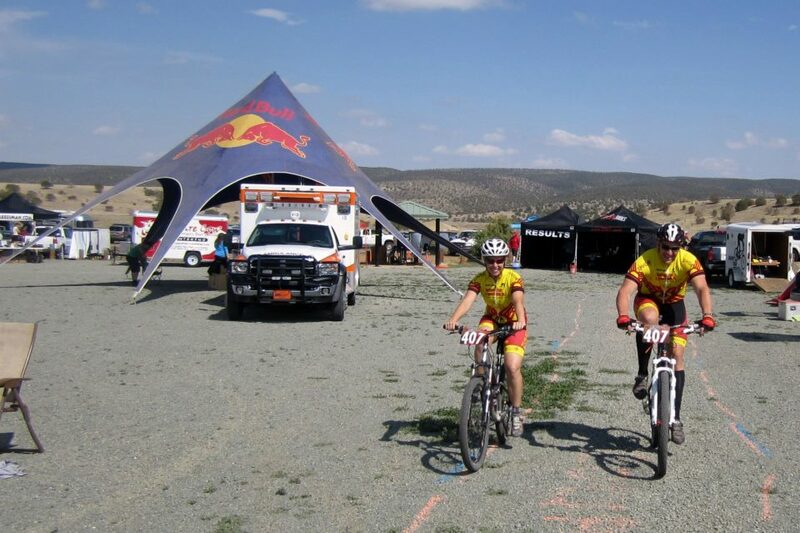 Once we hit the finish line, we would head back on the coarse to our parking spot and trade off there. It was really nice to have a spot right next to the trail. I am super excited to finally get a first place in a 12 hour race. This is my first one and I owe it all to the boys. What happened was when it was time for my final lap, we were only four minutes ahead and the second place team was going to send out their fastest person (we may have eavesdropped a little…), so I told Wayne to go again and that sealed the deal. 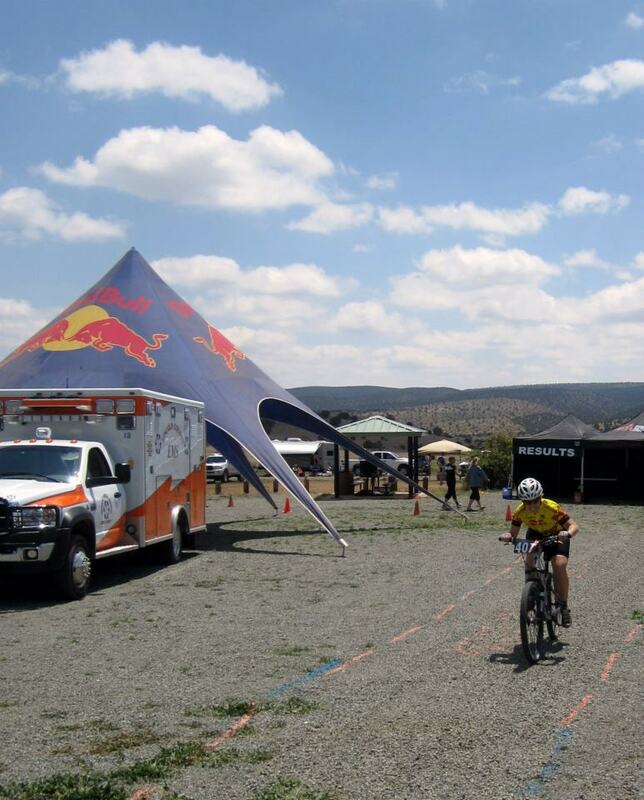 I felt guilty about the whole situation, but after thinking about it, there are a lot of things that are involved with a 12 hour race and STRATEGY is one of them. 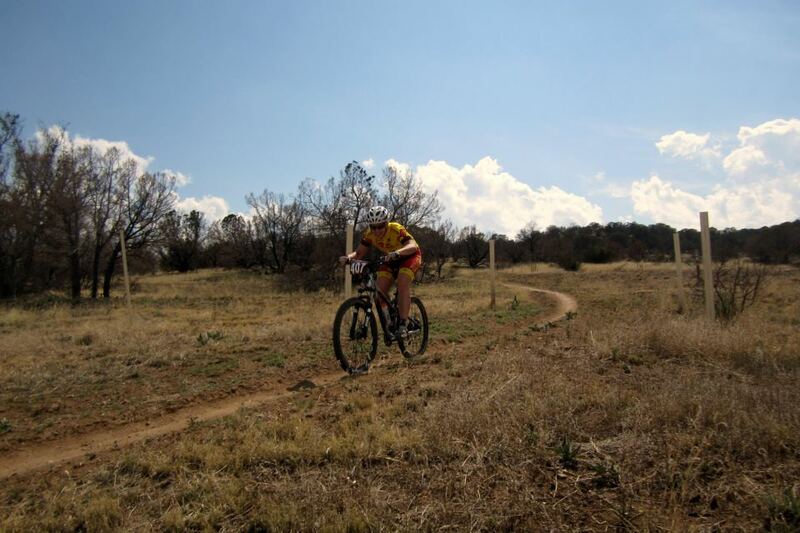 The last lap is the most crucial and if you are planning to place, you need to play your fastest rider. I highly recommend this for any team in upcoming races.